Airbus Military has been awarded a contract for the supply of eight C295 military transport aircraft to the Royal Air Force of Oman (RAFO), in a bid to help boost its tactical transport and maritime patrol capabilities. The undisclosed contract involves the purchase of eight C295 aircraft, five of them configured as tactical transports and three as the maritime patrol aircraft (MPA) variant. Apart from improving the air force’s tactical transport capability in hot and dusty conditions, the aircraft delivered under the contract are also intended to provide support during piracy, illegal immigration and smuggling operations. Airbus Military CEO, Domingo Urena Raso, said: "This order confirms the excellent performance of the C295 in desert environments where its robustness and ability to cope with extreme heat are critical." The order marks Oman as the first nation among the Gulf Cooperation Council (GCC) members to acquire a C295, and also the fourth customer in the Middle East and North Africa (MENA) region to purchase the aircraft for maritime patrol operations. Two CN235 aircraft are already in operational service with the Royal Oman Police (ROP). The C-295 is an EADS CASA twin-turboprop tactical military transport aircraft designed to carry out a range of operations, including tactical airlift, search & rescue (SAR), and maritime patrol and environmental surveillance missions. Around 86 C295 aircraft have been delivered by the company to 13 different operators worldwide, including; Algeria, Brazil, Chile, Colombia, Egypt, Finland, Jordan, Poland, Portugal and Spain. 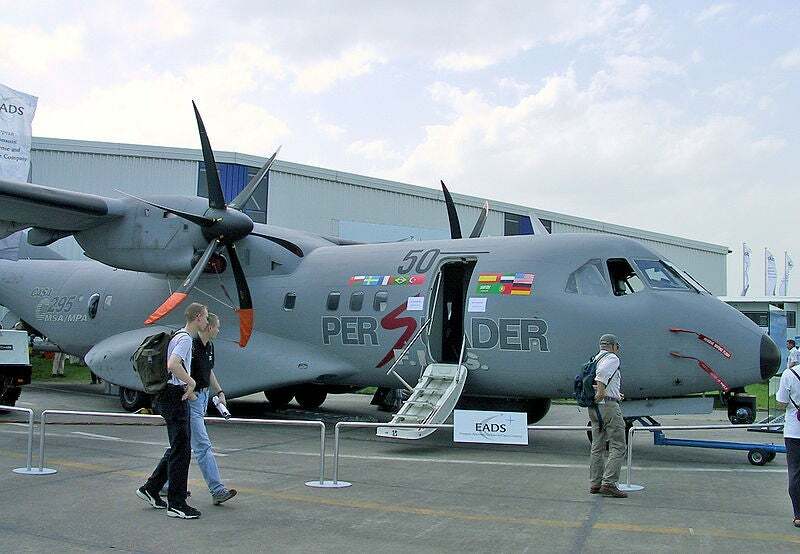 Image: An Airbus Military C-295 military transport aircraft at ILA 2002. Photo: courtesy of Jwnabd.